I recently posted a video and blog about exercise and tailbone pain, but I forgot to mention sit-ups! Doing traditional-style sit-ups are usually very problematic and painful for people suffering from coccydynia (coccyx pain, tailbone pain). What exercises should you avoid or modify if you have tailbone pain (coccyx pain, coccydynia)? 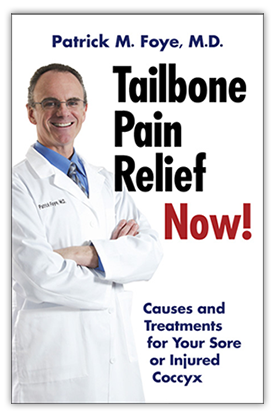 You may want to maintain their fitness, health, body weight, and well-being, without exacerbating (flaring up) your tailbone pain. This video gives many tips and tricks for ways that you can exercise without making your tailbone pain worse. Ryan Villopoto recently retired from his motocross (motorcycle racing) career due to an April 2015 crash in Italy that reportedly caused multiple tailbone fractures (broken bones of the coccyx) and low back injuries of the lumbar spine.